Grade 1 Michigan Model for Health Support Materials Kit. 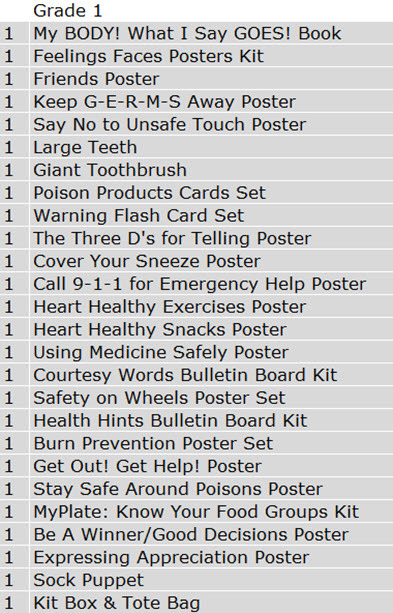 A collection of the support materials used in lessons that must be taught to meet all the objectives in the Grade 1 Michigan Model for Health curriculum. Includes posters, card sets, books, small models, etc. Does not include DVD's or lesson extension items. Packaged in a sturdy carton with a handle. Grade 1 Teacher Manual purchased separately.